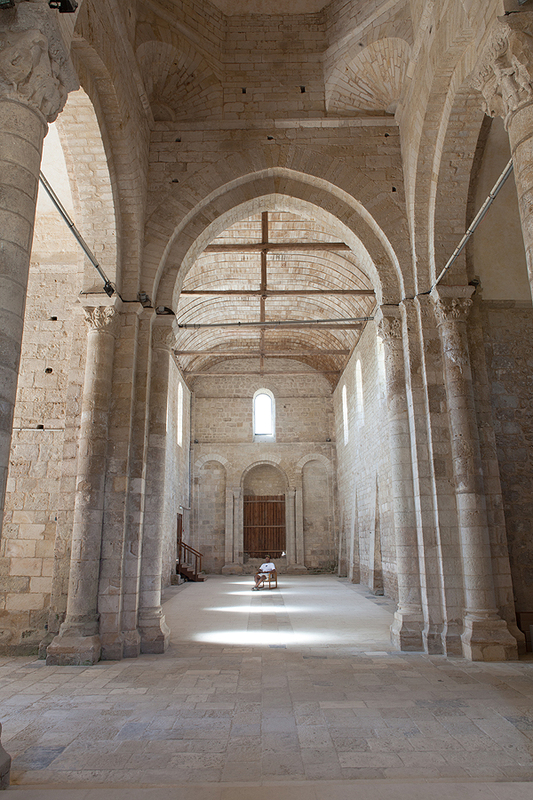 Upon the invitation of David Brognon and Stéphanie Rollin, Robert Samuel is waiting in the church of Saint-Savinien for the 8th Melle Biennial in France. In 2012 Robert Samuel invented a new profession: the line sitter, waiting in line for others. The Same Ole Line Dudes team, as he named his company, stand in lines all throughout New York for impatient consumers who lust after the new IPhone or for front-row seats to a show but don’t want the inconvenience and hassle of a cue which can sometimes last several days. By filling a contemporary need, Robert Samuel has become a new benchmark to measure time. Robert Samuel is waiting and measuring through his presence, a contemporary need that few countries dare to face without hypocrisy: the accompaniment and acceleration of the end of life. During the summer 2018, in Belgium, where the law has set-up the clearest framework for euthanasia, a man or woman will have decided and notified their doctors upon several occasions their desire to no longer live and to shorten their suffering. 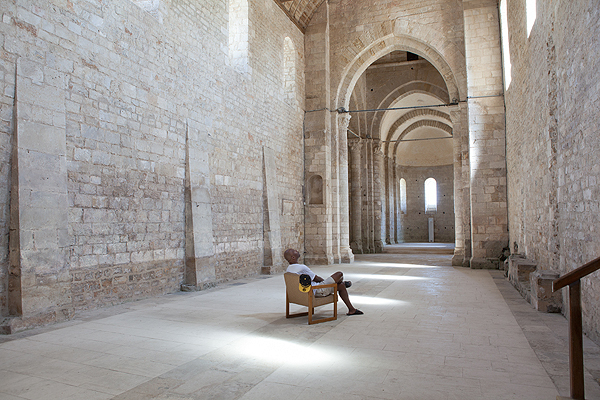 On the day and at the very second of the patient’s voluntary departure, Robert Samuel will leave the Saint-Savinien church.